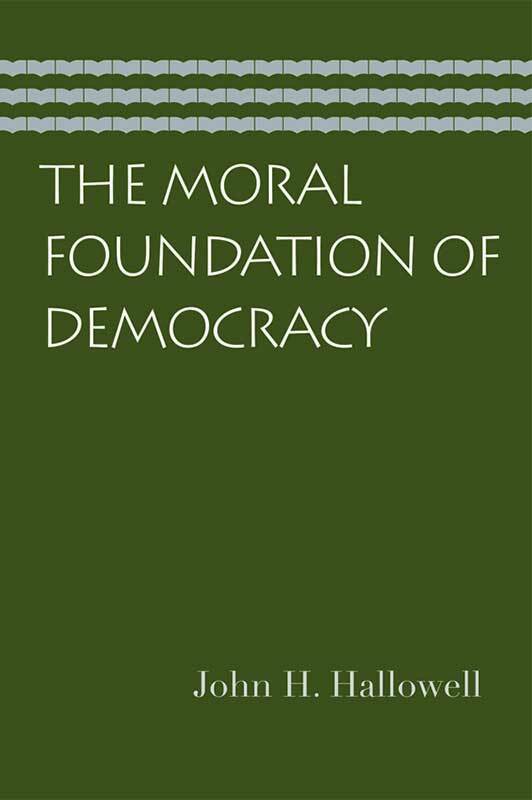 With The Moral Foundation of Democracy, John H. Hallowell makes a significant argument in favor of the importance of moral values in the orderly functioning of modern democracies. Hallowell argues that developments in recent democratic thought have eroded the very “faith” upon which democracy rests, namely, that man is a reasonable, moral, and spiritual actor. He sharply criticizes positivist thought and moral relativism as direct challenges to the notion that transcendent truths guide individuals in their actions and influence how people participate in a democratic society. John H. Hallowell taught political science for forty years at Duke University and was chair of the department from 1964 to 1971. He died in 1991.